Your coffee machine needs to be descaled regularly to remove lime scale and calcium build-up and avoid machine damage. 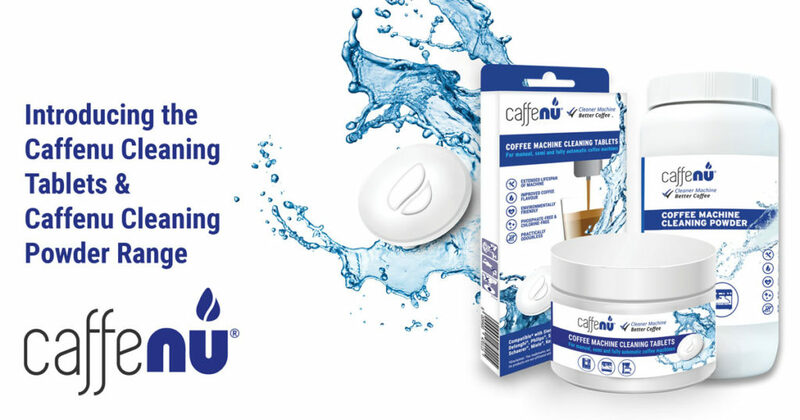 The Caffenu® Eco Descaler effectively removes lime scale deposits, and ensures the hygiene of your machine’s internal components. 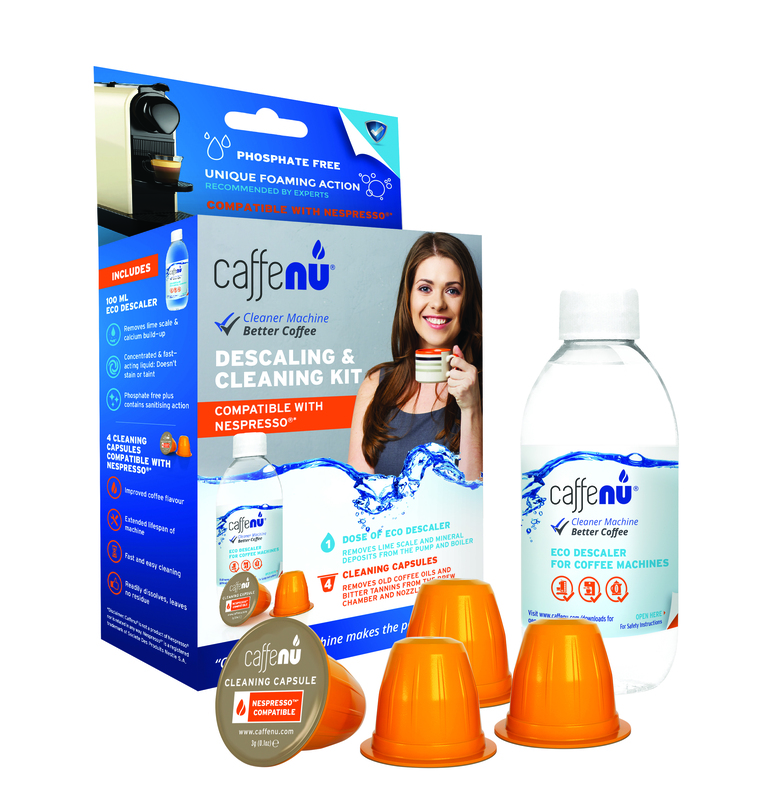 The Caffenu® Cleaning Kit combines the two crucial cleaning processes: cleaning and descaling in one box. 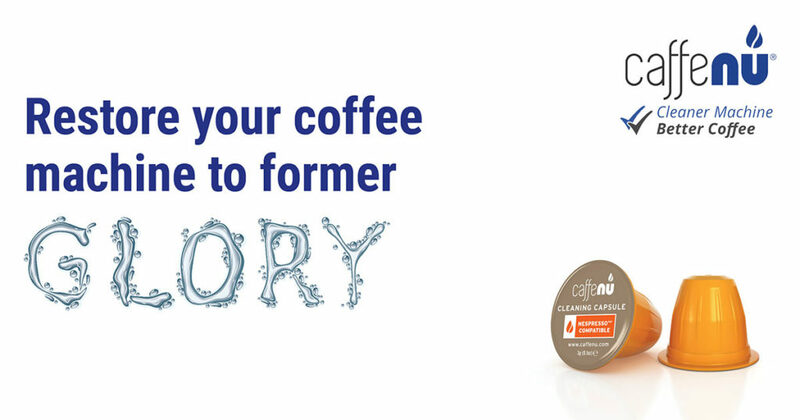 It contains four cleaning capsules, that clean the front of your coffee machine, and free the brewing chamber from residue, and old coffee build-up. 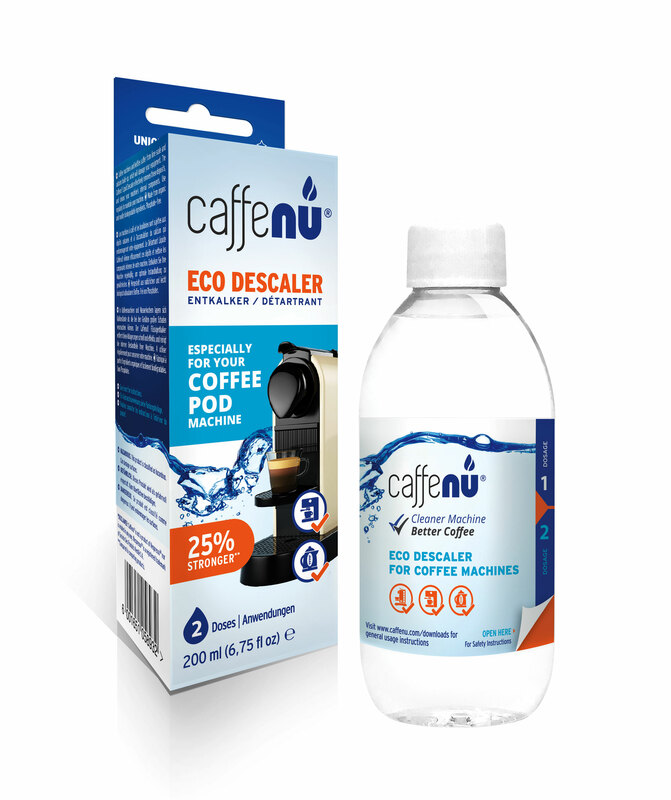 It also includes 100 ml of eco descaler, which removes lime scale and mineral deposits from the back of your machine, the pump and the boiler. 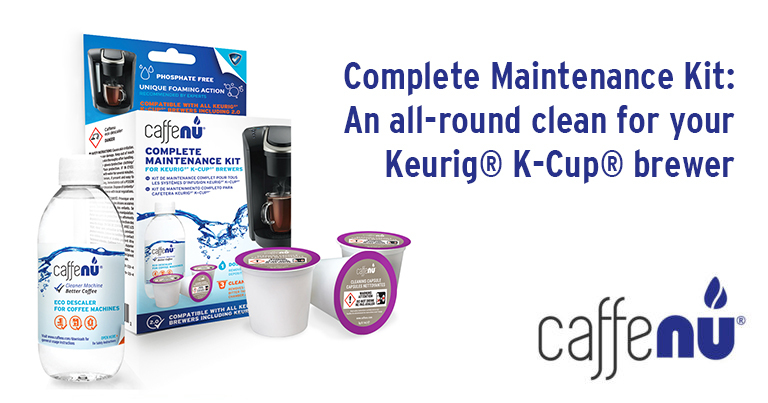 The Caffenu® Complete Maintenance Kit for Keurig® K-cup® brewers combines cleaning and descaling in one box. 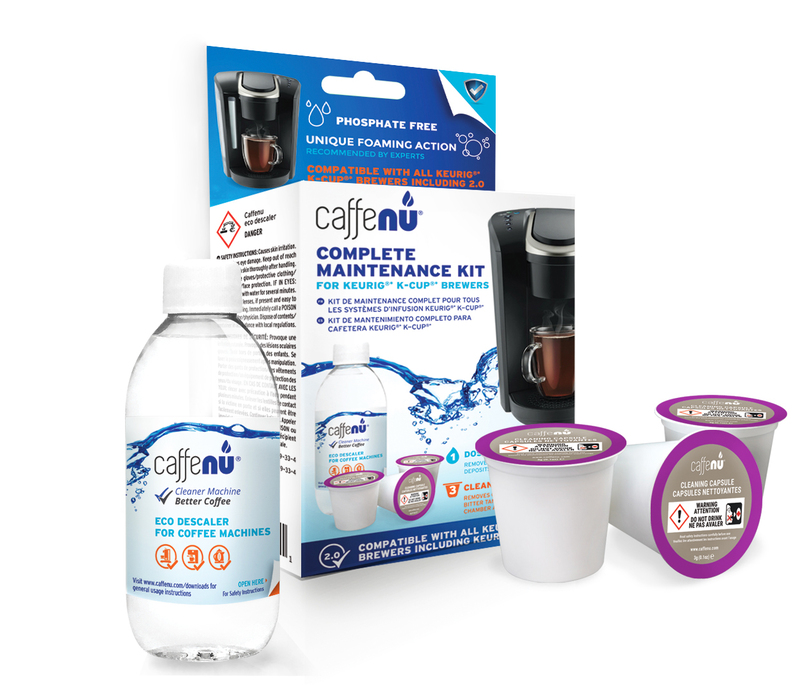 It contains three cleaning cups that clean the front of your Keurig® brewer and remove old coffee oils and bitter tannins from the brew chamber and nozzle. It also comes with a single dose of eco descaler which removes lime scale and mineral deposits from the pump and the boiler, essentially the back part of the brewer. “Cleaning is not a maybe. It is a must! 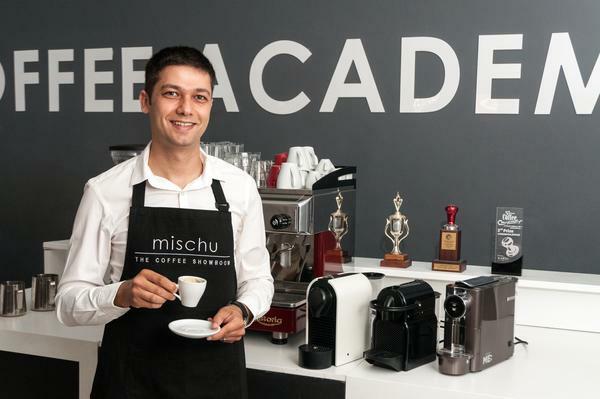 Every time you extract a shot of espresso, it leaves a layer of oil behind in the machine. Flushing with water alone does not help! 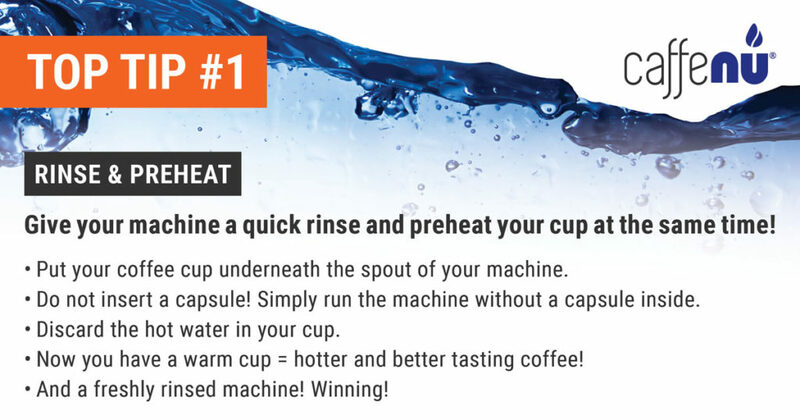 If you don´t clean your machine properly, it will affect the taste of your coffee, and more importantly your health. I have been using my Nespresso machine for over a year and its never been cleaned before. One of the capsules removed a load of gunk and the flow is now noticeable better. I followed the simple instructions except I finally rinsed it through 4 times rather than the one recommended to be sure there would be no cleaning residue left as even after two rinses the water was still a little mucky. Really amazing result, the coffee taste so much better. Still need to do the normal descaling but I will use this once a month as a recurring maintenance. Great value products, works well. Noticeable difference with water quality following use. Works exactly as advertised. The coffee did taste better, fresher, after I cleaned the machine using these capsules (even though I have been descaling the machine regularly ever since I got it). 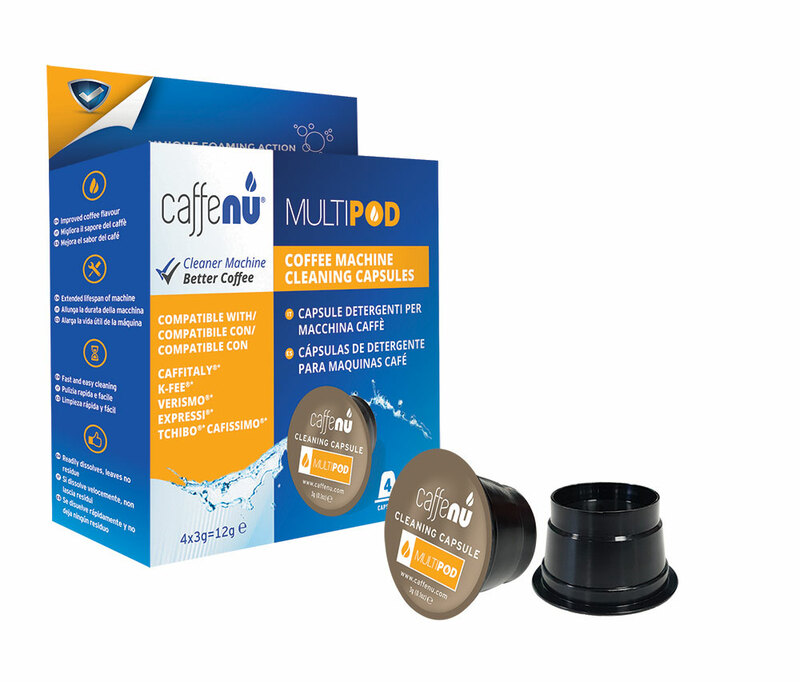 They are very easy to use: introduce a capsule, run an espresso (3cl), wait 2min, run a lungo (10cl), run 2 or 3 lungos to rinse the machine. I used the transparent container to see what would come out and noticed a lot of particles being flushed down by the flow. It beats introducing a needle in the holes from the sprout every so often, as I was instructed to do by a Nespresso representative! 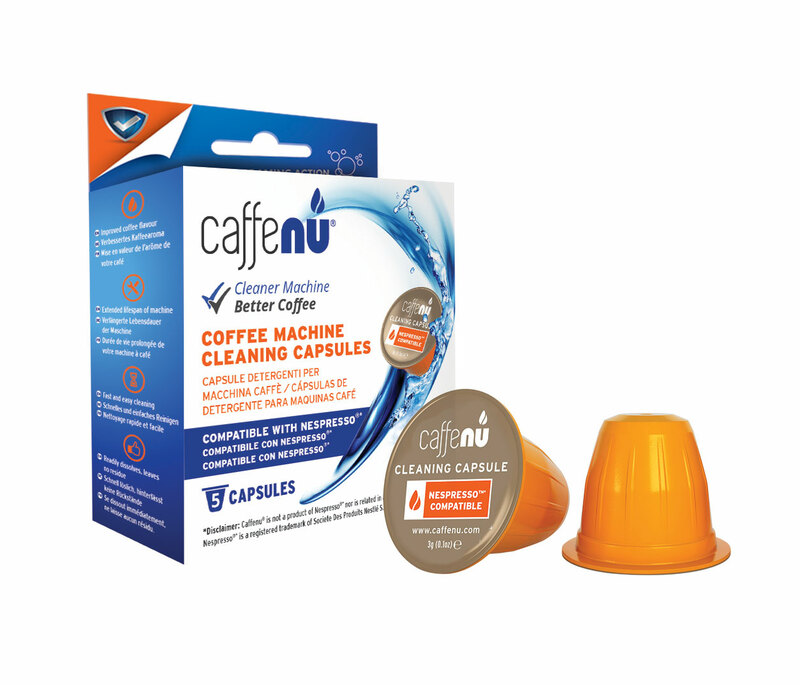 These capsules have totally revived my coffee machine which was on the verge of being chucked out. It has completely got rid of that burnt coffee taste and now the coffee tastes better than ever. I have tested the cleaning capsule on my 10 year old Nespresso machine and was very happy with the result! I will recommend it to my friends and relatives. I can taste the difference in every cup! 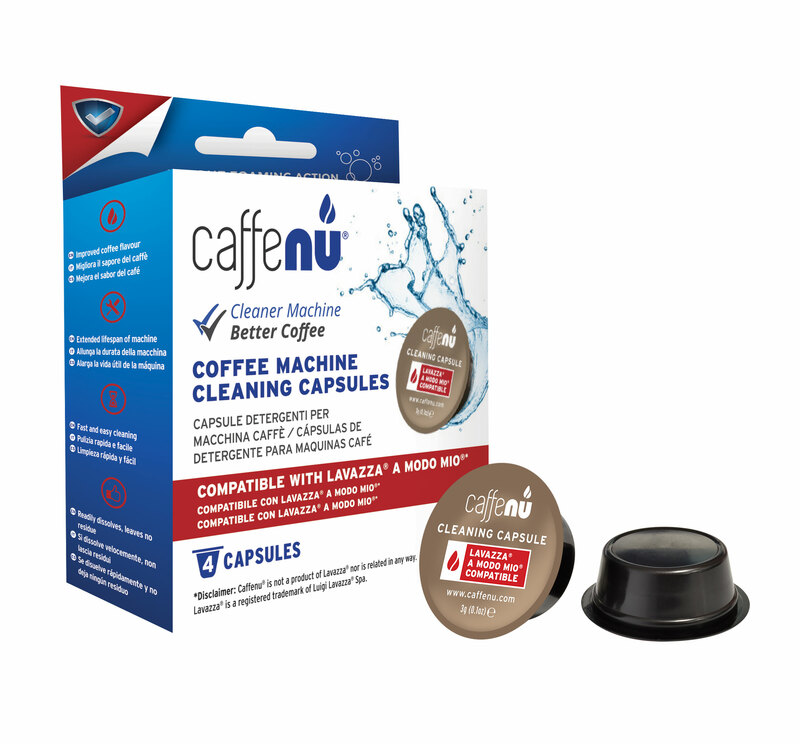 I've recently been using the Caffenu machine cleaner and it has completely changed the way my machine works and, importantly, the taste of my coffee. I'm a clean freak and it has always bothered me not being able to clean the inside of the machine that gets used so frequently. I use filtered water for my coffees but there's no point unless the machine stays clean too. So descalding performs one function but doesn't clean away the residue from the coffee, just the calcification. Now, using a descale AND the cleaning pods, I can taste the difference in every cup. I highly recommend using the cleaning capsule AND the descaler - this is the way to go! 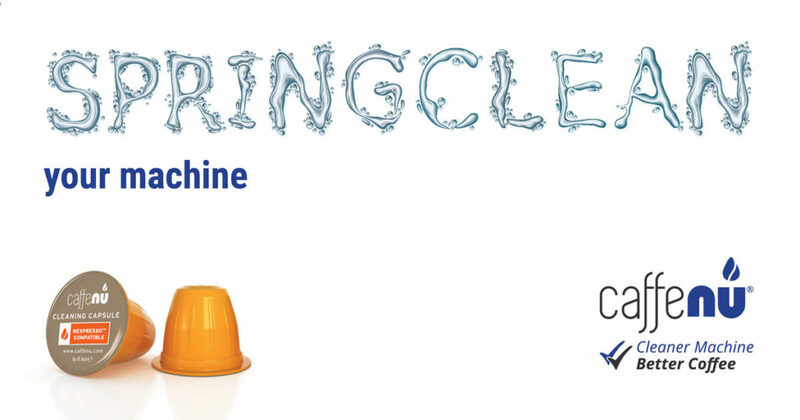 I LOVE these new cleaning capsules - it's a deep clean that rejuvenates your machine, super easy to use, convenient and is sure to ensure the longevity of my machine. 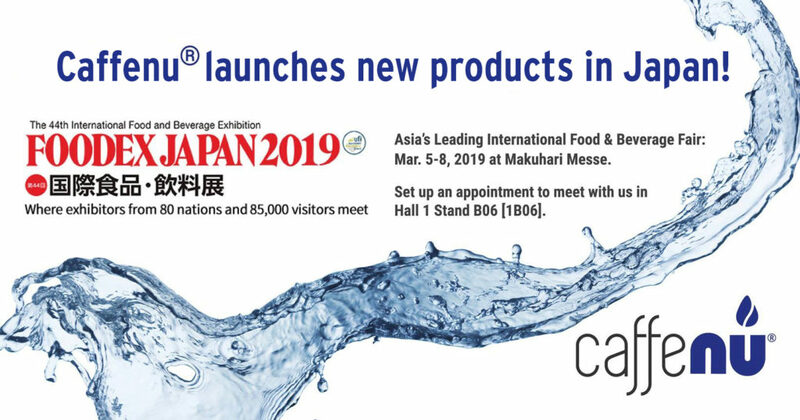 Join our exclusive family of international distributors and resellers. 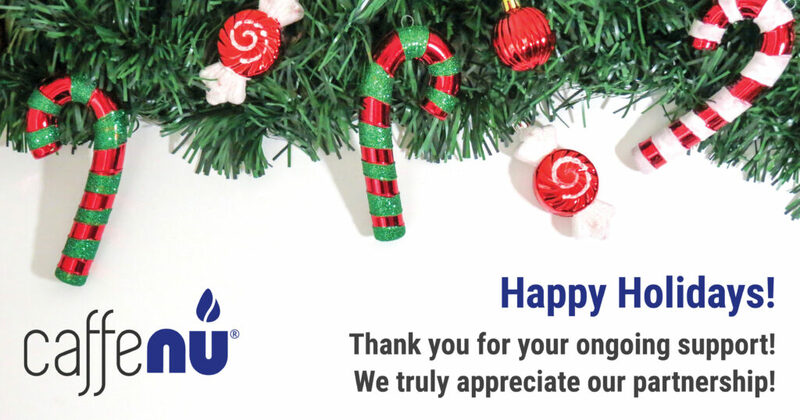 or include it as part of your current distribution offering.